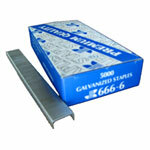 This Josef Kihlberg JK 666 electric staple is designed specifically to work in electric staplers. 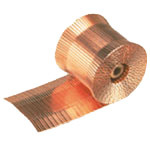 What sets this staple apart is the flattening of the wire to very tight specifications. 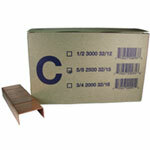 With fast production stapling using an electric stapler this industrial staple performs well. Removing recurrent jamming by using a fine wire electric staples increases the volume of production. 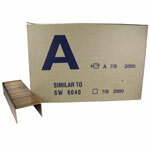 This electric staple is an excellent choice to work in the Rapid 105 or Rapid 106 electric stapler. 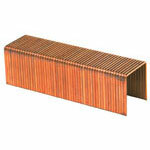 Josef Kihlberg (JK) is a globally trusted brand of industrial staples.